The use of supercomputers can advance innovation in U.S. manufacturing through simulation and modeling. These methods can enable predictive design that minimizes traditional trial and error prototyping, optimizes product properties, and improves estimates of product lifetimes. The High Performance Computing for Manufacturing (HPC4Mfg) Program, operated by the U.S. Department of Energy’s (DOE) Advanced Manufacturing Office within the Office of Energy Efficiency and Renewable Energy (EERE), leverages world-class technical expertise with high-performance computing to tackle manufacturing challenges uniquely solved by computer modeling. DOE’s Argonne National Laboratory and industry partners were recently awarded funding for four of the 13 projects under the program. 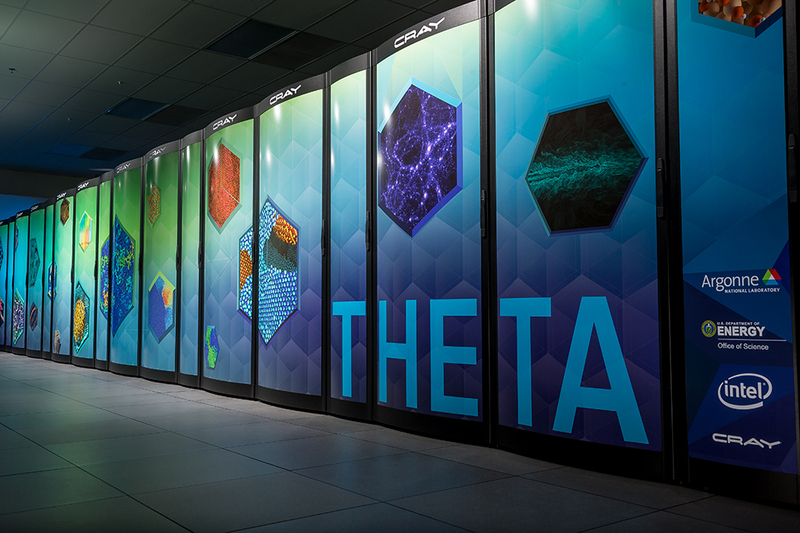 The company researchers will work with scientists in Argonne’s research divisions and at the Argonne Leadership Computing Facility (ALCF), a DOE Office of Science User Facility that provides supercomputing resources and expertise to the scientific and engineering community. ALCF computing resources are 10 to 100 times more powerful than systems typically used for scientific research and are available to researchers from universities, industry, and government agencies. Argonne has made it a core R&D thrust to align its computing expertise with Argonne researchers who develop advanced manufacturing technologies to help U.S. companies increase their competitiveness. Argonne plans to expand facilities for collaboration on early-stage innovation in manufacturing science and engineering . This is the fifth round of selectees for the HPC4Mfg Program. The program, established in 2015, unites DOE’s supercomputing capabilities and expertise with U.S. manufacturers to optimize production processes, enhance product quality and speed up design and testing cycles while decreasing energy consumption. Participating DOE laboratories include Argonne, Sandia National Laboratories, Los Alamos National Laboratory, and the National Renewable Energy Laboratory. Each project will receive up to $300,000. Some projects are also co-funded. Each participating private entity or consortium was required to contribute at least $60,000 of in-kind funds. VAST Power Systems will work to optimize gas turbine combustors through a partnership with Lawrence Livermore National Laboratory and Prithwish Kundu in Argonne’s Energy Systems division. Project will be co-funded by the Office of Fossil Energy and the Advanced Manufacturing Office. The Steel Manufacturing Simulation and Visualization Consortium and ArcelorMittal USA aims to optimize reheat furnace efficiency in steel manufacturing through work with May Wu in Argonne’s Energy Systems division. Transient Plasma Systems Inc. will partner with Riccardo Scarcelli from the Argonne’s Energy Systems division to optimize the characteristics of non-equilibrium plasmas for more efficient and cleaner internal combustion engines. This project will be co-funded by the Vehicle Technologies Office and the Advanced Manufacturing Office. 3M is seeking to optimize the fiber spinning manufacturing process used in filters, fabrics, and insulation with the help of Ian Foster in Argonne’s Data Science and Learning division. Since it began, the HPC4Mfg Program has funded a total of 60 industry projects, ranging from improving the reliability and lifetime of wind turbines to studying how to mitigate defects in the 3-D printing of metal parts to reducing emissions from semiconductor processing that could potentially harm the ozone layer. EERE’s Advanced Manufacturing Office  (AMO) supports early-stage research to advance innovation in U.S. manufacturing and promote American economic growth and energy security. Researchers will tackle manufacturing challenges uniquely solved by computer modeling with the ALCF's Intel-Cray supsrcomputer, Theta.